Easy, delicious, nutritious! In that case...waffles everyday! Combine all ingredients thoroughly and pour into sprayed waffle iron at med/high heat. If batter is really thick, add a splash of water or almond milk for an easier to mix consistency. 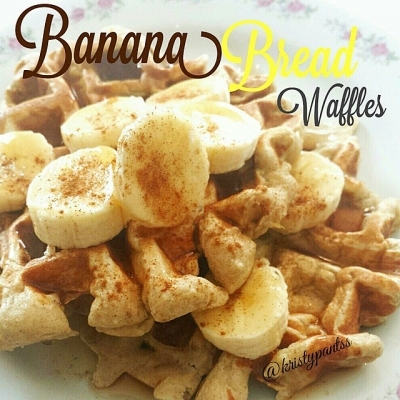 top however you like and enjoy your waffles! I used banana slices and sugar-free pancake syrup.